If it is time bid farewell to the ink- we can help! 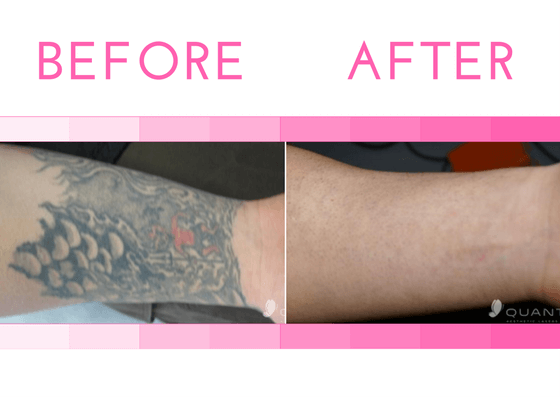 National Laser Private Med Spa offers a safe and effective solution to remove your unwanted tattoos for just a fraction of the retail price! 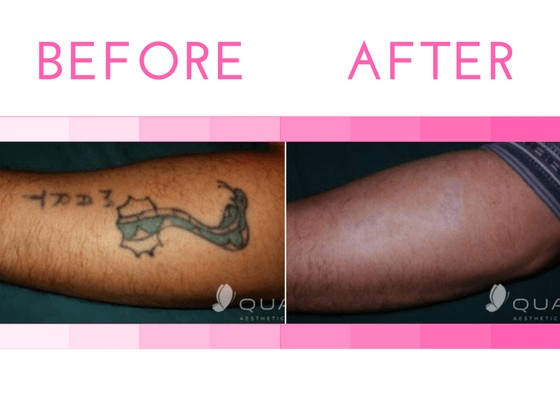 The laser uses Q-switched technology which targets the ink within your skin. It safely emits light and energy to the pigment, which makes up the tattoo. This causes your ink to break down into microscopic pieces that are safely flushed out through your body’s lymphatic system. 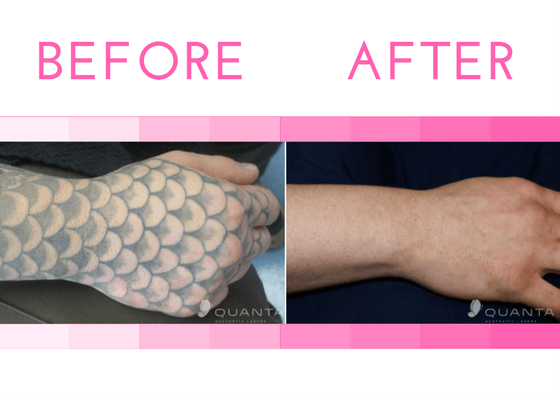 Typically, many clients need 10-15+ treatments depending on the size, color and location of the tattoo. 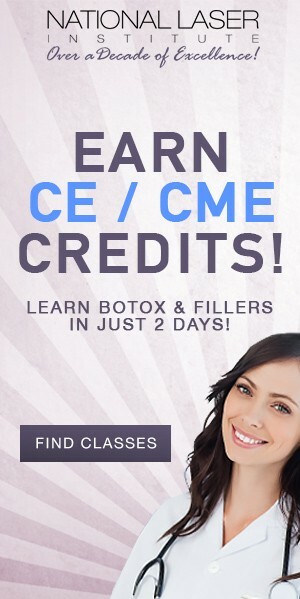 Over the series of treatments; however, you will begin to see fading and outstanding results. National Laser Private Med Spa does whatever it takes to make you as comfortable as possible. 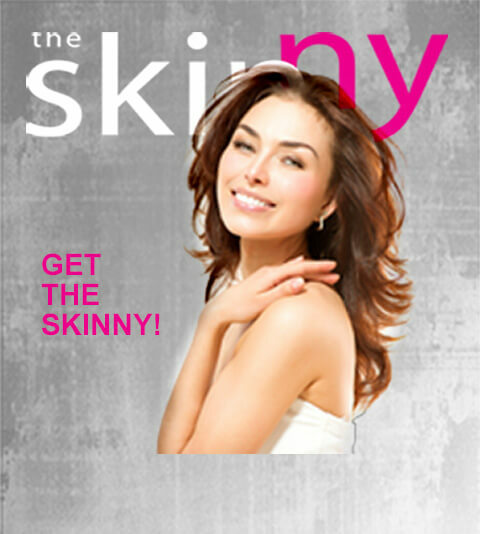 Most treatments last between 2-10 minutes (depending on size). 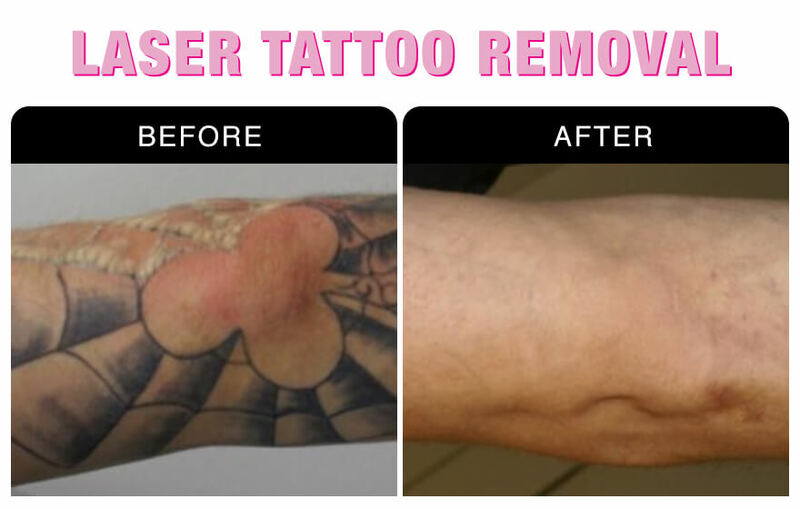 Your laser tattoo removal treatment is exclusively provided to you based on your personal needs and desires. Before your treatment, you will experience a consultation with one of our expert medical aestheticians in order to provide you the most safe and effective treatment.